This graphic may be reproduced in any form of educational or non-profit purposes without special permission from the GRID-Arendal, provided acknowledgement of the source is made. GRID-Arendal would appreciate receiving a copy of any publication that features this graphic. No use of this graphic may be made for resale or any other commercial purpose whatsoever without prior permission in writing from GRID-Arendal. Baltic Sea Region GIS, Maps and Statistical Database, BALANS. 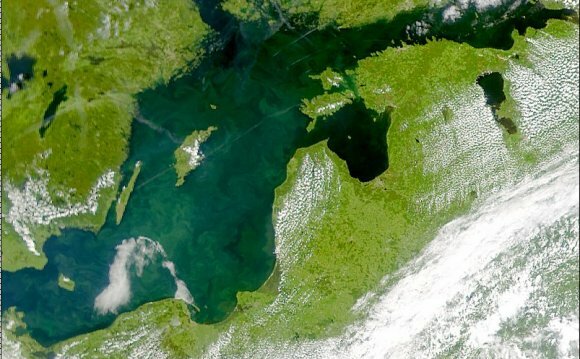 The Baltic Sea region is covered by primarily forested land and cropland. This land cover map, delineated for the Baltic Sea drainage basin, is using the dataset prepared through the BALANS project, and represents the situation around year 2000.